Schwerin is the capital city of the state of Mecklenburg-Western Pomerania. It has a population of 97,000. It is the second biggest city (behind Rostock) in the state. 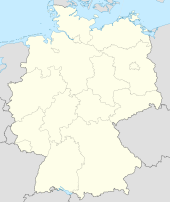 It is the smallest capital of a German state. This page was last changed on 10 May 2014, at 11:52.